Traffic Law - Stephens Fiddes McGill and Associates, P.C. When you, a loved-one or family member, is suddenly confronted with an unexpected traffic ticket or DUI, the most important step you can take is to contact a Stephens Fiddes McGill and Associates, P.C. Attorney for a consultation. A Stephens Fiddes McGill and Associates, P.C. attorney is experienced in traffic law in Peoria, Pekin, East Peoria, and Bloomington / Normal. Penalities for DUI can be very serious. Your charges will be heard in the county court where your violation took place. Our attorneys spend time in those courtrooms for our traffic matters clients, and are familiar with the lawyers who represent defendants and the judges who hear traffic and DUI cases. 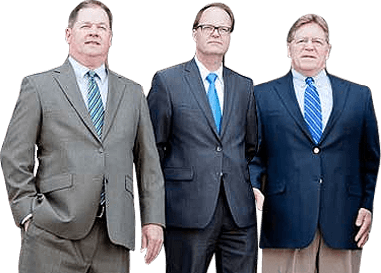 Our associates bring more than 100 years of combined experience to your case. We have been voted one of the top three law firms in Central Illinois five different years in the Reader’s Choice Awards. Our knowledge in the practice of traffic matters will allow us to negotiate for the best possible outcome for your specific charge. Hiring a Stephens Fiddes McGill and Associates, P.C. attorney experienced in traffic matters can help you navigate the court system and is more likely to result in a positive outcome. We will determine if there was probable cause and file for a dismissal if there wasn’t. If the police officer did not provide you with the required warnings and follow correct procedures, we can challenge this. In court, we can introduce witnesses who saw your situation differently. We can bring alternative explanations for your appearance and actions to the attention of judge and jury. Losing your license can affect your ability to earn a living. If you use a car to make your living we will work to have a driving permit issued. If your license has been revoked, we will take steps to get it reinstated. We will consider your traffic violation case with great care and treat your concerns with the greatest respect. If you select Stephens Fiddes McGill and Associates, P.C. as your legal representative, we will do our utmost to obtain the best outcome possible on your behalf. At Stephens Fiddes McGill and Associates, P.C. Your Case is Valued. We’re members of the State Bar Association and the American Bar Association. We’re licensed, registered, insured, bonded, and accredited. For effective litigation by experienced professionals, contact Stephens Fiddes McGill and Associates, P.C.